Kenyans Tom Mboya and Evanson Nyaga, were awarded the top prize at the CNN MultiChoice African Journalist 2012 Awards ceremony. Their work ‘African Tribe in India’, which aired on Citizen TV, Kenya was chosen from among 1799 entries from 42 nations across the African continent. From these category winners, an independent judging panel choose the overall winner - The CNN MultiChoice African Journalist 2013. 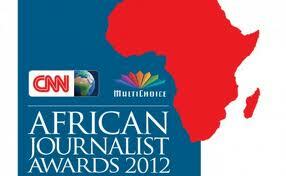 Finalists in the 2013 competition will participate in a finalists’ programme that will include a media forum and networking opportunities with senior journalists, editors, business leaders and media owners from across the continent, culminating in a gala awards ceremony later in the year. All finalists receive a cash prize and each category winner also receives a laptop and printer. The CNN MultiChoice African Journalist 2013 will receive an additional cash prize and will have the opportunity to participate in the CNN Journalism Fellowship at CNN Headquarters in Atlanta.